← Bolivia wants and will fight for free social networks despite the egocentric masista! MIAMI, Florida (January 31, 2018)—The Inter American Press Association (IAPA) today expressed concern at the issuing of a recent official decree by Bolivia’s President Evo Morales that requires all news media to distribute government messages free of charge, without distinguishing between public and privately-owned companies. Morales last week issued the decree on obligatory dissemination in the news media of campaigns against violence on minors. The measure requires television channels to broadcast Justice Ministry messages free of charge for 15 minutes a month, radio stations for 25 minutes and newspapers to publish them on one page a month. IAPA President Gustavo Mohme, editor of the Lima, Peru, newspaper La República, stressed that “while the aim of the decree appears to have good intentions, to impose what and when a message is disseminated is an intrusion in the management of private companies, whose editorial and economic strategies should not be influenced by authoritarian measures. The State has at its disposal public media to publicize its social policies”. Mohme and Rock echoed several denunciations made by Bolivia’s National Press Association (ANP) of reprisals by the national government for the publication of investigations into corruption that were related to the fact that several publishing companies are being periodically inspected by officials of the tax agency and that in the government there are discussed financial actions and an extraordinary tax levy that would only be applied to news media. Bolivian Thoughts opinion: Money is running out from the hands of this irresponsible government. After twelve years of wasting over $160 billion dollars in useless, non-competitive, non sustainable infrastructure and most filled with corruption schemes using inept firms, bad materials and design, this coca caudillo intends to remain in power. So, he is reaching for public deficit spending by engaging in billionaire loans with China and by using this type of impositions on the private sector. 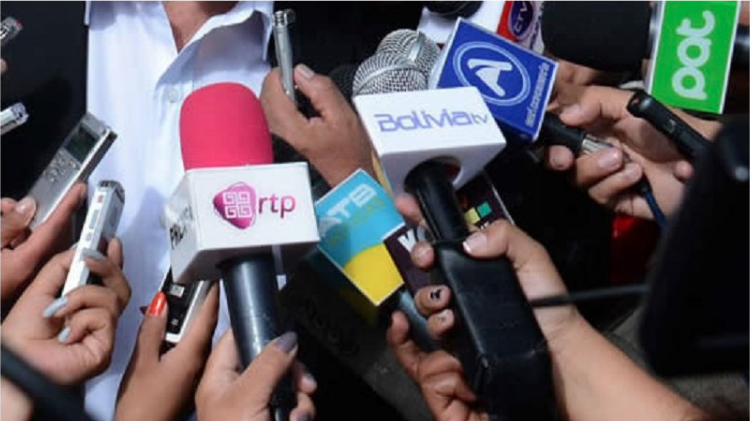 Media companies are now forced to give free advertisement while the government pays for their propaganda on behalf of the image of their caudillo in larger amounts, which they negotiate with media owners, provided they do not criticize his government. Time is running out for the autocrat! This entry was posted in Bolivia, Business, Economics, Politics, Social Unrest and tagged corruption in public office, democracy in peril, freedom of choice, freedom of expression, freedom of the press, public policy failures. Bookmark the permalink.